Kerala flood’s causes a huge loss in the state, at least 357 people have lost their lives, crores of property have been lost, over 16000 people have been rescued. To help the state in such catastrophe, several states, including centres raised their hands in giving the support to the state. Even famous personalities from Cricket and Bollywood, all are trying to raise the fund for Kerala flood victims. 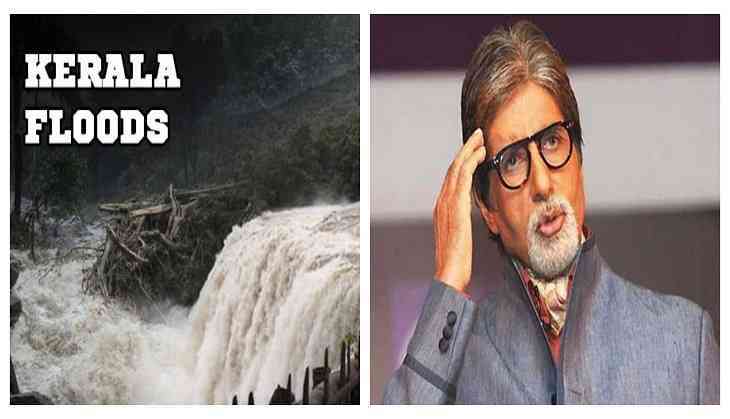 As he posted his photo, a user asked him that ‘Kerala ko donation diya?’ However, Big B may not respond to the comment usually, but this time Brahmastra actor responded. However, Amitabh Bachchan and his family have donated Ra 51 lakh to the relief organization working for the Kerala flood victims. Reportedly, Amitabh has also given some of his personal belongings to the state.